Thinking about what to do after Year 11? Come and visit our amazing facilities and see the courses that we offer here at Lowestoft Sixth Form College! With no booking required you will be able to visit us at the times above and our friendly members of staff will be able to help you find what course you are looking for. Our information evening will provide you with tours of the college and information on the courses we offer, hosted in our large open atrium. 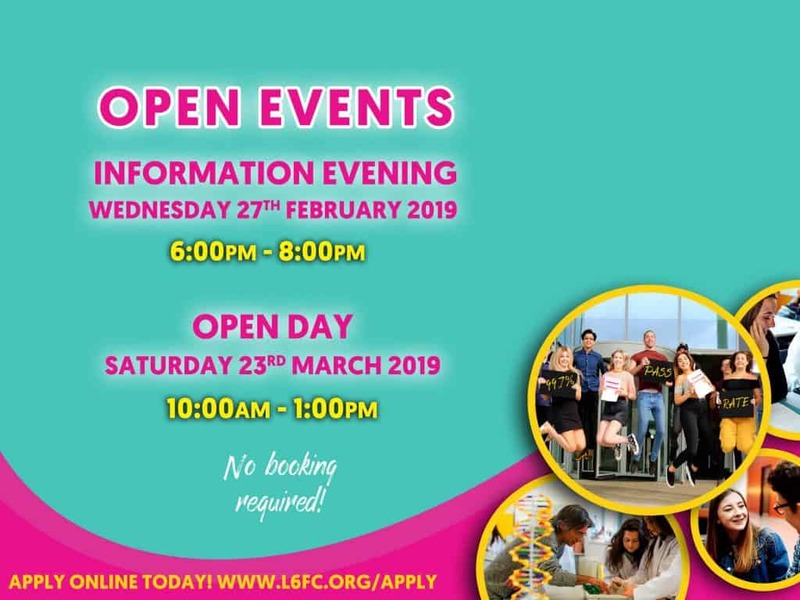 Our open day will provide you with a look into college life, with tours of the college, access to classrooms and help provided by our friendly staff and students. Remember to follow us on social media to keep up to date with our latest news and insights into college life!